Personally I hate this time of year! 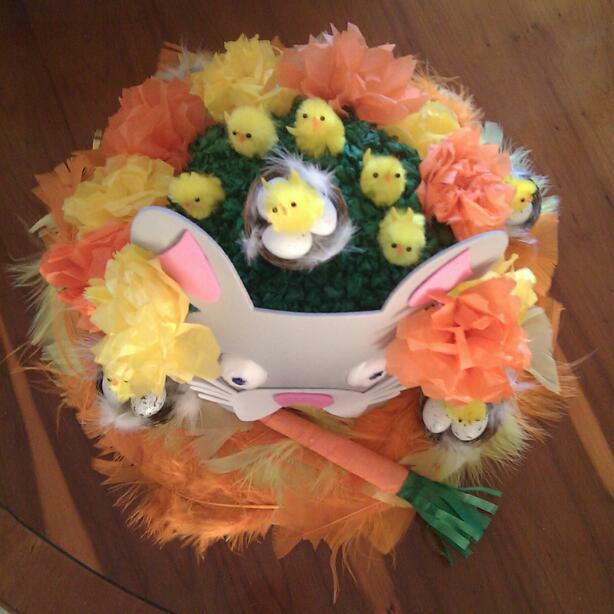 This where your child comes home with that dreaded letter thats right Easter bonnet parade. 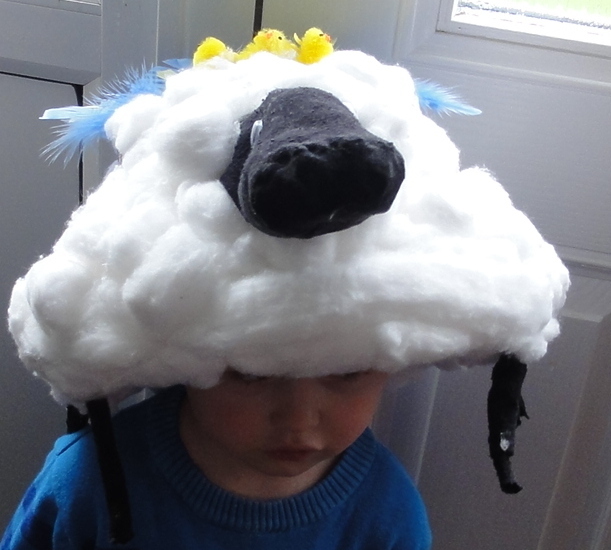 I find it becomes more of a competition with parents and can get quite competitive the main goal here is to ignore that and just enjoy making a hat with your child easier said then done. It should be more about the child getting involved making it but hardly ever works out that way perhaps they should be making these at school rather than at home? Well that is just my thoughts anyway.. I have put together some hats that I have made and also found to give you some ideas. 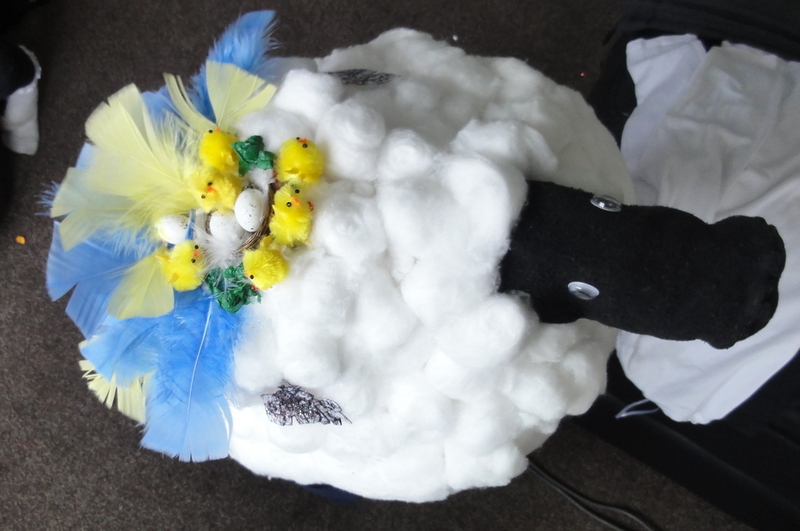 This year me and my son made a sheep mostly cotton wool and an old sock. 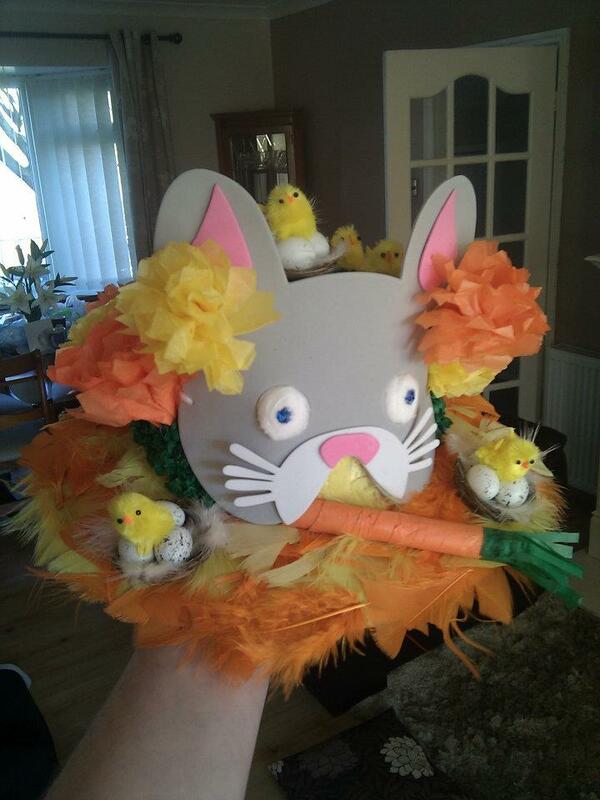 Stuck some googly eyes, baby chicks and feathers on and we have ourselves an Easter hat. 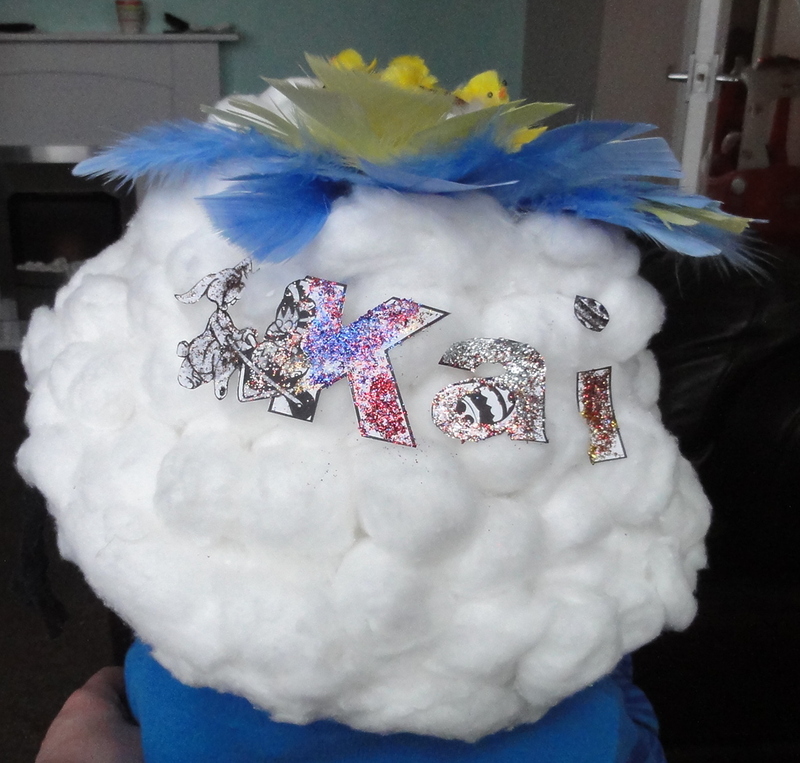 Very simple to make but sticking the cotton was a bit of a nightmare and could tear easily under the weight! 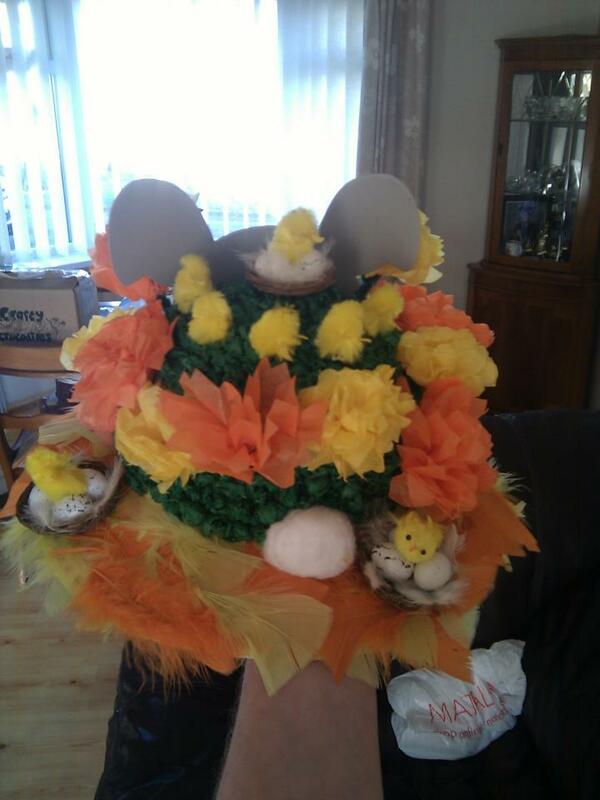 This one me and my daughter made which took some time to get all the little green balls crumpled up to make the grass and flowers right but other than that another fairly simple hat.